and performance chairs for all musicians, orchestra and symphony bass sections. Click here for bass players who sit 25″. 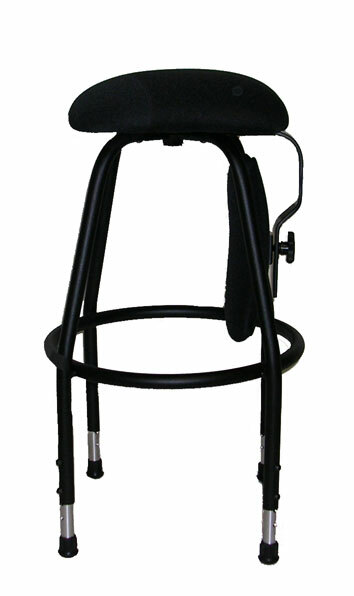 C5 ‘gig’ basso with 15″ round seat, swivel bass stool. Standard measurement in all ‘gig’ basso stools. Click on picture for another view. 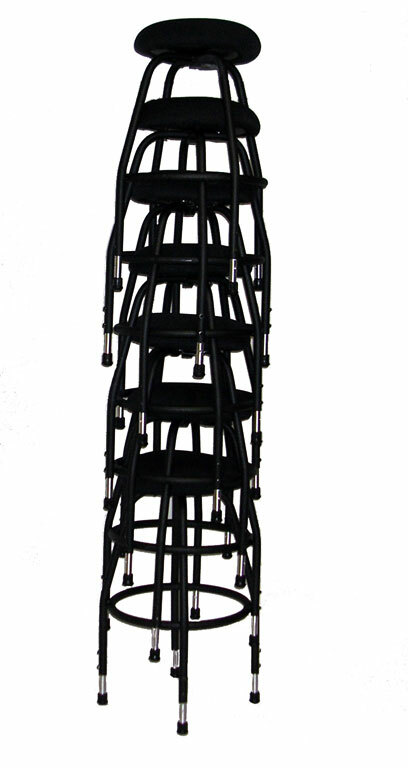 with swivel feature, is designed with resistance that prevents free spinning rotation which can cause spinal injury. NOTE:The seat is raised with spacers as shown. 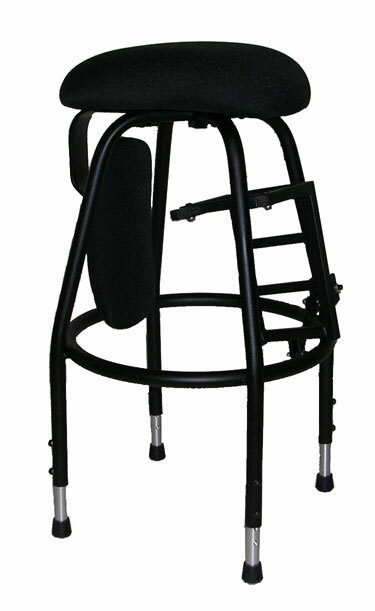 Three reasons are that chair parts compatibility of the plate into which the back support slides (under the seat) conflicted with the swivel plate, and also, the knob for securing and adjusting the back support conflicted with the swivel plate. Both these reasons prevented the stool from swivelling properly. Third reason is the swivel plate was extremely difficult to attach to the frame of the stool given the seat mounting holes already in place and close to the bend at the top of frame. 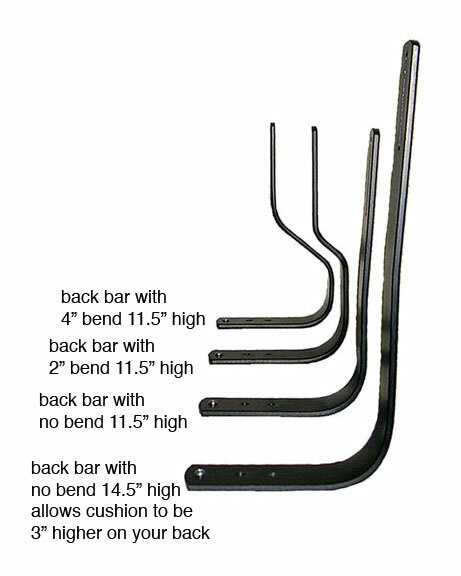 View 4 types of back bars for adjustable back. 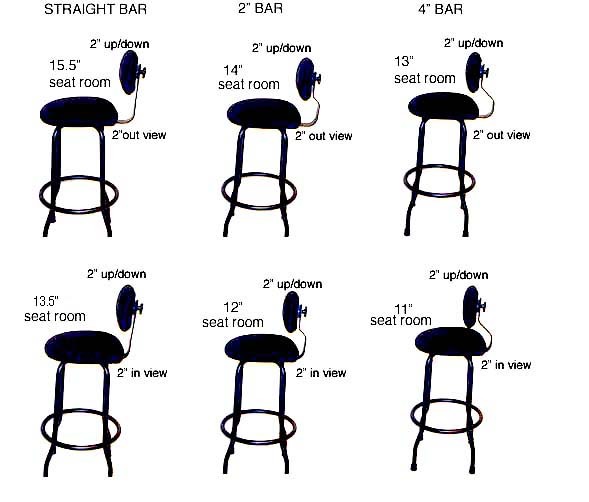 View illustration of back bars on gig stools for back depth and height adjustment. 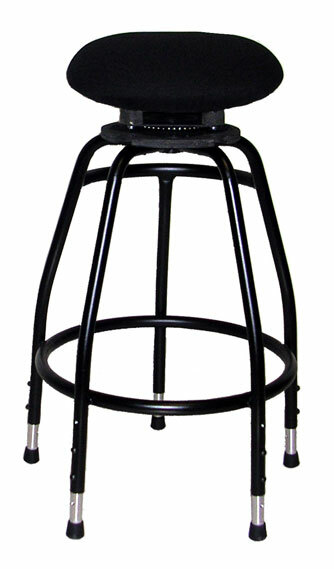 View ‘gig’ basso stool with back support and foot support placed under seat shown for ease in transporting. 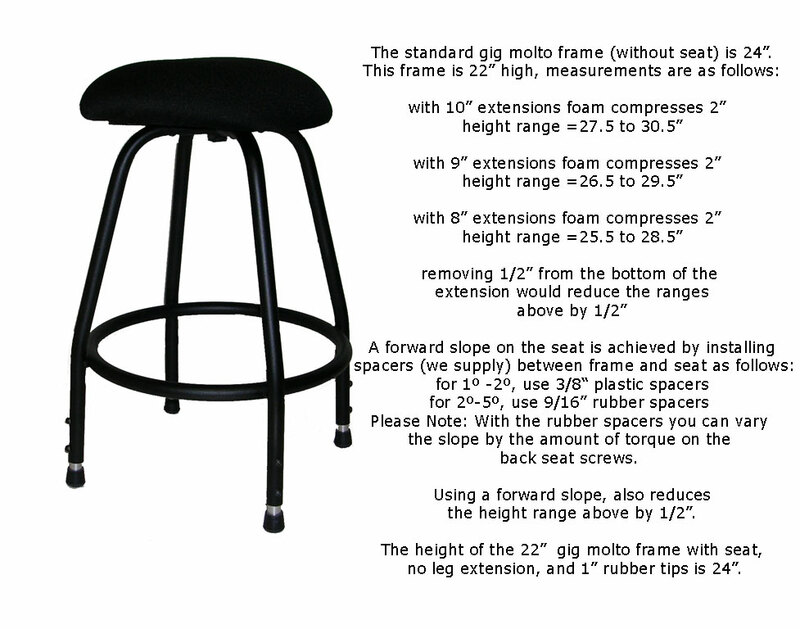 View ‘gig’ basso stool with cutaway seat; optional back-support may be placed as shown for ease in transporting, it is shipped that way to you. Top view of the ‘concert’ basso and ‘gig’ basso stool seats. Click on picture to enlarge and view descriptions. Any of the ‘concert’ basso 15″ round, oval, cutaway and double cutaway seats may be used on the ‘gig’ stools. The SF double cutaway seat and the 13″ round seat will not fit on the multi-adjustable ‘concert’ basso due to the size of the seat mechanism on the ‘concert’ basso. 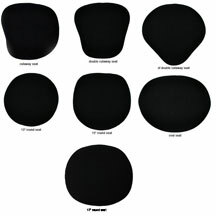 Replacement seat pricing (every stool or chair comes with the seat of your choice; prices given here are for an ‘extra’ seat or replacement seat). Will not stack with oval seat unless stacked on top. Delivery on individual order, by Fedex, Canada, U.S.A., and Mexico. Delivery on quantity orders, by freight forwarder, Canada, U.S.A., and Mexico. International orders, by freight forwarder. Please call for information and your cost.